The emergence of new digital devices as laptops, mobile phones and e-notebooks led us to raise the question about the need of handwriting in different people’s domains. Whether students should keep up learning hand writing at school or not? Do they need to pay so much attention on penmanship during the studying? Whether people’s writing communication should be transferred from handwriting to keyboarding? These are all vital questions are raised in the The Freakonomics Radio podcast “Who needs handwriting?”. First of all, I would like to thank my colleagues, @ariyavvv and @lenerakezlevli, who devoted their posts dwelling on the reflective summary, critical review and analysis of this podcast’s content. Please, visit their page and read their blogs to get more insight about this podcast. However, in this post I would share my views not about the content of the podcast itself, but mostly on the format of it. The radio host Dubner organized very interesting talk show with different people who shared their studies and views about todays’ role of handwriting in society. Dubner managed to host the radio program in the most informal but at the same time very informative manner. This podcast is not a typical question-answer conversation between radio host and guest, but it went along with analyses and guiding questions of Dubner after each interesting points said by the speakers. Take as an example the case, when Anne Trubek, the author of the book “The history and uncertain future of handwriting”, talked about the study that showed the positive influence of legible handwriting on students’ achievement at school. After very detailed sharing about this study, everyone would like to believe that Trubek supports handwriting at school. The radio host notices that her conversation led the listeners to believe in that. Therefore, he pauses the interview, asks listeners “Now you think she supports handwriting” and then makes intriguing argument “But you would be wrong”. It is pretty smart and tricky way of leading the radio show. After this unthinkable argument, you would have a lot of question as “Why so?” that will raise your interest to continue to listen to this podcast. The same tactic or strategy, whatever you call, Dubner uses while talking with PhD in social psychology in Princeton Pam Mueller. She conducted the research with her colleague whether it is beneficial for students to make handwriting notes or it is better to type the notes on the laptop apps. As a result, handwriting notes were understandable and contained useful information than notes in the laptop. Since this result, you would also tend to think that these researchers would support handwriting. But again the answer is “No”. They are opponents of the new era who support technology and suggest students to organize the trainings for students that teach to type accurate information in a short time. 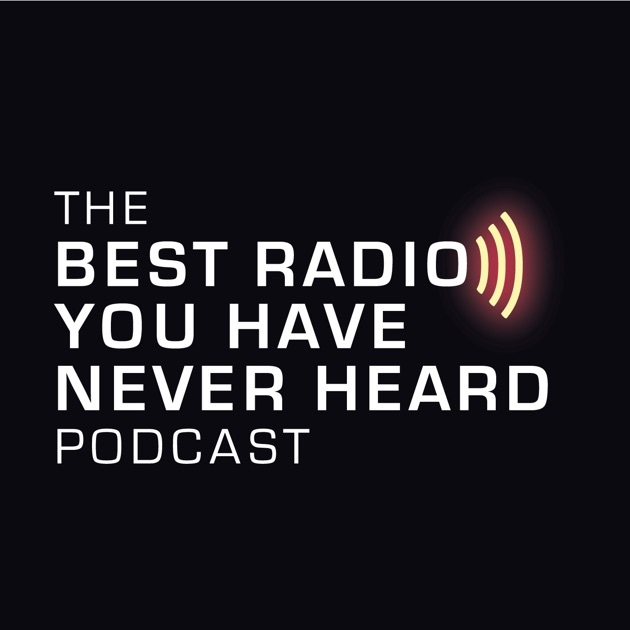 What kind of strategies did radio host of the podcast that you listened to use during the program? Do you like it? Or will you give some suggestion to make the format of the program better? From the beginning of the master program, the word “research” was the word that scared me a lot. In each lesson we must conduct some small-scale research projects. Even any properly done writing assignments required carrying out some research on literature review. I had a sense I was not where I supposed to be. After a while, I realized that our program is basically directed to master our research skills. The words as literature review, methodology were not as terrible as were in the beginning. With a help of our teachers and my lovely group mates I began exploring the world of the research step by step. I am still unsure whether research is the field that I would like to pursue in my life. I still cannot say that I am passionate about researching. However, as a young researcher, I like to believe that nothing just happens, that every event has some meaning. And who knew that while working in a different field I will be able to find out this meaning. This summer I was involved in EXPO-2017. I worked in the pavilion of the United Arab Emirates. That was my first working experience in such major event for our country and it undoubtedly deserves the separate blog. But that’s not the point right now. The thing that I want to share with my readers is in this work I began to notice the habits of the young researcher that I did unconsciously. For instance, during the work we got to know a lot about traditional, cultural peculiarities of Arabian people. Every time when I heard something interesting for me, I strived to learn more about it. I began to search internet to find out more about this fact. I used to read a lot about different attitudes and opinions toward this fact. If I had a chance, I was looking for someone with whom I can talk and share my own views. You see, is not it the habits of “emerging researcher”? It seems it is. Finding out more information about your interest from different sources, exploring different people views and doing personal analysis regarding even out of class topics serve as a proof of it. Due to the research skills, I began to broaden my horizons of interests. In fact, I am so lucky that I can apply my acquired skills at the university to my everyday life. To sum up, I never thought about being a researcher. I never wanted to be a researcher. But I say “Never say never”. Because right now I realize that living a meaningful, full of interests life requires doing research. And here, research is not only sitting in library with a plenty of papers, but exploring something new to make our life better. Lose weight. Learn English. Run every morning. Every time when we want to complete any deal, we habitually share our plans with our friends, parents and colleagues. We tell them that we want to accomplish this or that. Sometimes happily acknowledge them, that we have already started something. Then, most of the time, it happens that what we have planned to do did not turn to reality. Why should not we inform anybody about our plans in advance? And why the plans that we did not tell anybody often tend to be achieved? In the video above an American entrepreneur Derek Sivers shared his view about keeping secret about the goals. The main argument that he proposed is when people tell anybody about their intensions, they are likely to fail. The speaker supports his view from the psychological perspectives. Whenever the person shares about his plans with people, he states that “their congratulations and their high image of” the person, make people feel that they are already one step closer to accomplishing the plans. However, these sorts of psychological impact of the surrounding can lead to artificial self-satisfaction. As a result, the plans remain as the plans that are suppressed with the imagination of the person as though the plans “are becoming the part of the [person’s] identity”. In the psychology, this process is called as “social reality”. Therefore, in order to make the goals and plans doable, David suggested keeping the goals only to you. In order to make his claim more evidentially-based, he stated that this “social reality” became the interest of many researchers. He shared with the results of the research conducted in 2009 by Peter Golwitzer in which the half of the participants shared with the other people about their plans they are going to do, whether others did not tell anything. They were all given 45 minutes to accomplish their plans. When the time ends, the participants who kept their mouth shut, entire 45 minutes devoted to work and said that they need to had a long way to achieve the goal. The other half quieted the experiment in 33 minutes by stating that they have almost close to the goal achievement. Indeed, it was the case when their minds “mistakes talking for doing”. However, I deem the results of one research are insufficient to make this theory truly convincing one. More experiment results is necessary to make the theory more thought-provoking. Personally, I strongly support this misconception of our mind when we talk about our plans. In fact, when I began to announce all my plans to everybody, these plans tend to fail. I do not know, does it have any coincidence or not with the keeping plans secret, but mostly it happens with me. By the way, do you have the same situation as me? Do you believe that announcement of your plans and goal hinders them to come true? Since Kazakhstan is a multilingual and multicultural country, our government began to implement trilingual policy. Trilingual policy of Kazakhstan involves the acquirement of three languages: Kazakh, Russian and English. The implementation of trilingual policy has been stated as one of the major goals in the State Program of Education Development for 2011-2020 (SPED) that “Education quality is determined primarily by highly-qualified teachers”. Thus, in order to achieve the successful implementation of this policy, the government is focused on teachers’ professional development. Hence, it were opened Centers of Excellence (CoE) for training proficient teachers. The state program “Bolashak” extended its opportunity for teachers by enabling them to gain sufficient experience abroad. So, there are different areas which are taking part in the process of teachers’ training. The issue is whether linguists can efficiently participate in the process of development language teachers’ training or not. This essay will discuss the connection of linguistics and language teaching by concluding that linguists play the vital role in the training language teachers. Linguistics is a study of language. It serves as a bridge between theory and practice in teaching foreign languages (Ogeyik, 2010). Meanwhile, the language teacher is a person who should support the relationship principles of theory and methods of practice in order to advance language teaching performance (Widdowson, 1984). So, linguists can teach language teachers how to use theory in practice as well as practice in theory. The effective applying connection between language theory and practice methods in the classroom allows students to acquire new topics on foreign language lessons for the long-term. As an example, during the lessons on explaining tenses, without any practical tasks just giving the definition of the tense will make the students just to memorize the topic for the short-term. Linguists also study the linguistic branches such as phonetics, phonology, syntax and morphology. The acquirement of these branches by the language teachers helps them to gather more deep and precise insight into the nature of the language. For instance, during learning foreign language students face the problem with correct placement and manner of articulation resulting in wrong pronunciation of the sounds and words. The area that study characteristics of the speech sounds is the phonetics (Yule, 2010). Obtaining knowledge in phonetics lead teachers to identify the main reasons of making errors of students and apply the reliable methods of pronunciation teaching. As Wilkins (1972) claimed that teachers ought to avoid any misrepresentation in intonation or in sound production. In the case of Kazakhstani language policy, one more advantage of learning phonetics for teachers that certain phonetic feature of students’ mother tongue can help teach another language more easily. Thus, on the basis of knowledge of Kazakh and Russian phonetic system teachers can explain the pronunciation of the Russian language sounds in comparison with Kazakh sounds and vice versa. Phonetics, syntax, grammar of the language is all that aims to describe the nature of the language (Wilkins, 1972). However, we could not talk about the language without concerning its social and historical background. It is considered by sociolinguists and diachronic linguists. As Honmei and Ni (2016) pointed out “If we want to master a language really, we must have an adequate knowledge of the rich social and cultural backgrounds in which the language exists; rich social and cultural knowledge also benefits the comprehension and use of language” (p.23). So teachers can teach how to use the social features of the foreign languages such as dialect, idioms or slangs appropriately on the current situation. Therefore, the awareness about sociolinguistics allows teachers alter teaching methods and techniques in accordance with socio-linguistic level of the studied language (Wilkins, 1972). In terms of diachronic or historical linguistics, it can enable teachers to create the language learning in the historical concept. For example, teachers can use their knowledge in diachronic linguistics during the explaining the origin of the words or why some expressions lost its usage in everyday speech. This type of teaching, where teacher is able to color the lesson topic with adding some more details and knowledge, can encourage students’ interest and motivation to further acquiring foreign language. In conclusion, according to above mentioned statements I deem that linguistics have to be the integral part of training language teachers. Acquisition of knowledge and skills in various branches of linguistics allows teachers to make the lessons more meaningful and absorbing by managing applicable methods and techniques. As Wilkins (1972) stated that “value of the linguistics is by increasing [teacher’s] awareness of language, it makes him more competent and therefore a better language teacher” (p.32). Due to the linguistics, teachers are able to gain pertinent knowledge to be the competitive teacher in today’s demanding world. Thus, I can assume that linguists can make its own contribution to implementation trilingual policy in Kazakhstan by facilitating the teacher preparation programs. Hongmei, Z., & Ni, W. (2016). Sociolinguistics and English Teaching in China. Theory & Practice In Language Studies, 6(4), 830. Widdowson, H. G. (1984). The intensive value of theory in teacher education. English Language Teaching Journal, 38(2), 86-90. Wilkins, D. (1972). Linguistics in language teaching (p. 229). London: Arnold. Yule, G(n.d.). The study of language. Cambridge: Cambridge University Press. 2010. Egea-Kuehne (1999) in this chapter discusses the role of dominant languages in different linguistic contexts. She claims that there is a crucial necessity of using dominant languagues for minor ethnicities. The dominant language is the sole language with the help of which minorities are able to communicate with other countries and nationalities. As Crystal (2003) claims that linguistic imperalism strengthens the language itself, and it is beneficial for communities which are willing to be involved in the modern world society. Moreover, according to De Jong (2011), the language of imperalism is the way “to gain access to knowledge, international trade opportunities, cultural events” ( p. 93). Further, Egea-Kuehne (1999) describes the occurrence of linguistic imperialism in different contexts. According to her analysis of different countries’ linguistic cases, Egea-Kuehne (1999) concludes that in most countries the acquisition of foreign language was mainly forced rather than acquired in a voluntary way. She presents the case of Indian children who were forbidden to speak their native language and forced to learn English by making them to forget even about their religion, culture and identity. Unfortunately, the same situation can be seen in the Kazakhstani context too. When Kazakhstan was part of the Soviet Union, the forced imposition of the Russian language (in that time it was the dominant one) led the Kazakh people to losing their national identity. As a result, after gaining independence, Kazakhstan was the only post-soviet country where non-titular nations were prevailing the native one. Egea-Kuehne (1999) also maintains that preserving the national value of any language is very important as well as the education in the dominant language . She says that education in the dominant language allows to fortify the communciation with other countries “as broadly as possible” (p.112). She gives examples in which education in “other” language could save Drassus’s nation from slavery, and also helped American writer Maya Angelou to escape from “silence, loniless, oppression and abuse” (p.112). In this sense, the Russian language played a positive role in Kazakhstan development and its people enlightment too. Fierman (2006) states that due to the Russification policy, the Russian language became a “valuable asset for upward and social mobility” (p.89) for the Kazakh nation. Indeed, due to the Russian language acquisition, our country could establish international relations during the first years of independence. Due to the knowledge of the Russian language, the Kazakh people began to take part in international competitions. Particularly, the Russian literature opened the door to world classic literature because the translations were only in Russian. To sum up, from thought-provoking views with supportive evidences about linguistic imperialism in the article “Derrida’s Le monolinguisme de l’autre: Linguistic Educational Rights” by Denise Egea-Kuehne, it might be concluded that appropriation of dominant languages does not diminish the minorities’ linguistic human rights, but instead, it offers various opportunities to be one of the leading countries in the world. Crystal, D. (2003). Why English? The cultural legacy. In English as a Global Language. Cambridge: Cambridge University Press. De Jong, E. (2011). Linguistic diversity and globalization. In Foundations for Multilingualism in Education: From Principles to Practice (83-101). Philadelphia, PA: Caslon Inc.
Fierman, W. (2006). Language and education in Post-Soviet Kazakhstan: Kazakh-medium instruction in urban schools. Russian Review, 65(1), 98-116. I’ve definitely read this book, but what was it about…?! It often happens when people ask me about one character in certain book or about some interesting moments in this book I could not find an answer. It does not mean that I just did not read this book. The point is I don not remember details, only some fragments that are usually not important. Sometimes, if I read book more than one year ago, I could even forget that I read this book before. Later on, I found out that it is not only my problem. Some people also do not recall the title, the author or the plot of the book that they have already read. If you are this kind of person, this post is definitely for you. To define the aim of the reading. Ask yourself exactly what you want to get from this reading. Define whether you want to remember the facts to understand any process or to find an answer you are looking for before. This method in most cases is not suitable at for reading fictions which we mostly read for pleasure. However, it can facilitate remembering the necessary information from non-fictional texts. Thus, this method will save time as you will definitely know what questions you are looking for. Read actively. It was scientifically proven that the more actively you are involved in reading process, the more information you will be able to remember. It is not necessarily to make detailed notes about the book. It is enough to make small marks in a notebook or even on the fields of the book. This would not only help to commit necessary moments to memory, but also would in time rebuild what you have read. Method SQ3R. It is one of the most time-consuming, but at the same it the most effective method. It will be ideal for those who really need to learn or to remember a great deal of information. This technique has been presented in 1946 by Francis Robinson in the book “Effective Study”. In fact, the title of the method “SQ3R” stands for Survey, Question, Read, Recite and Review. These are also five main steps of this method as studying, questions, reading, retelling and review. At the first stage it is necessary to read the text only superficially, to skim headings and subtitles. Then to formulate list of specific questions which have raised concerning the text. After that attentively read the text and with a help of key phrases write down answers to your questions. And the last stage requires looking at all written notes and the text by paying attention to keywords and those moments which as you think you have not remembered. Use imagination. Use the imagination not only when you read the gripping novel, but also when you try to remember something from non-fiction literature. It will make reading more interesting and will help to retain the necessary information in long term memory. The more pictures will be brighter, the easier will be to remember it. Discuss books. You remember the feeling when you are done with the book, then you are tempted to discuss it with your friends or relatives? At time like this, do not stop yourself. It is one of the types of active reading. Discussion not only will bring you psychological pleasure, but also will help to remember the most impressive moments for the long term. All the above are techniques that I thought best to remember about the book that you have already read. It is noteworthy that these techniquies are suitable not only for books, but also for any type of reading. So, do you find useful these methods? Or do you have any other suggestion to cope with this problem? Please, feel free to share them. Before applying for the master program “Multilingual education” at Nazarbayev University I checked the university’s website several times to learn more about this program. On the program description page it was written: “This program focuses on the development of teaching, curriculum development, assessment, policy analysis, and research skills in the areas of educational language policy in general, and language teaching in particular ( “M.A. in Multilingual Education”, n.d.)”. However, it was not clear “Who am I going to be after obtaining master degree? Teacher? Policymaker? Researcher or …?” Nevertheless, I applied and received my acceptance letter to graduate school of education at Nazarbayev University. Simply put, the post I wanted to write for today relied on above mentioned questions that disturbed me through whole semester about my exact specialty after graduation from NU. Indeed, last week I could find answer to this question. At least I was satisfied with the answer. Will you be satisfied too? Let’s check. The dean of our faculty Aida Sagintayeva took the floor to respond to these questions. She answered that any school at Nazarbayev University do not prepare specialists in a narrow career path. She said that after graduation Nazarbayev University there will not be exact accountants, teachers or engineers. The graduates of NU will be people who can deal with complex and diverse world changes. The knowledge gained at the university will empower students to cope with any challenges regardless their majors. She also highlighted that students here are learning to think critically, communicate effectively in order to apply their knowledge to issues that require the most complicated solutions. Moreover, Sagintayeva added that it is supposed that NU alumni will be members of society who are not going to seek where to work, but will create the workplace for the other employees. Personally, these words made me to realize that obtaining master degree at NUGSE is a unique chance to be a person with the bright future. Yes, actually in every lesson we master our critical thinking and communicative skills that valuable for any field that you are involved in. We read a lot. We analyze each text. We discuss various topics. We work on finding solutions to social, economic or cultural problems of the society. Even the question that rose above, ends with options as “…Teacher? Policymaker? Researcher or …?” Isn’t it great example of having an opportunity to choose the field that suits you best? Due to this policy of education, we are not narrowed in specific field. We are full of options to build OUR future. Just study hard, work hard and you will certainly find your place in the sun. P.S. Initially the question was “Who am I going to be after obtaining master degree at NUGSE? Teacher? Policymaker? Researcher or …?” So, are you satisfied with the answer or not? Photo credits to Arailym Kapassova. In recent times, as standards of living continue to rise, learning foreign languages became one of the basic requirements of the 21st century. As Smith says “One language sets you in a corridor for life. Two languages open every door along the way.” Therefore, the issue of using effective teaching methods of foreign languages is one which needs to be looked at carefully. In this case, usage of mother tongue in L2 learning is still hot debatable issue. It is often argued that mother-tongue based foreign language learning is productive method, whilst others disagree and think L1 usage brought its negative inputs into learning process. This blog will discuss both points of view before coming to a reasoned conclusion. In fact, several research studies (Turnbull, 2011; Caroll, 1967 etc.) have shown the unfavorable results regarding L1 using in EFL classrooms. For instance, Turnbull (2011) conducted the research with four French teachers, where two of them used more mother tongues during the lesson than other two teachers. Thus, students of teachers who spoke mostly the target language had the positive results in comparison with students having mother-tongue based lessons. In Caroll’s (1967) study, he revealed that foreign language proficiency of students directly depends on teachers’ language of instruction. Thus, senior students in the USA showed the positive results with teachers’ instructions only in target language. Contrary to the patterns described previously, there can be a positive role of mother tongue during acquiring the foreign language. According to Blackledge and Creese’s (2010) research, using mother tongue during learning L2 takes considerable place in learning process. Due to their research results, on mother tongue based language lessons UK school students performed not only good language knowledge, but also this teaching approach influenced positively on their lesson accomplishment and participant confidence during the lesson. Similar findings are reported by Kim (2011). His research with 20 native Korean students in English composition class indicates that mother tongue effect particularly on students’ writing skills. Following the same line, Auerbach (1993) states that “Starting with the L1 provides a sense of security and validates the learners’ lived experiences, allowing them to express themselves. The learner is then willing to experiment and take risks with English” (p.59). To sum up, this blog is only small part of huge issue regarding mother tongue in language learning. Scholars still do not have definite answer to use or not to use L1 during learning L2. We face real schools and language centers which follow different teaching methods and approaches. Even by being somehow an expert in learning and teaching languages, you feel uncertainty about choosing the school for young generation, isn’t it? Auerbach, E. R. (1993). 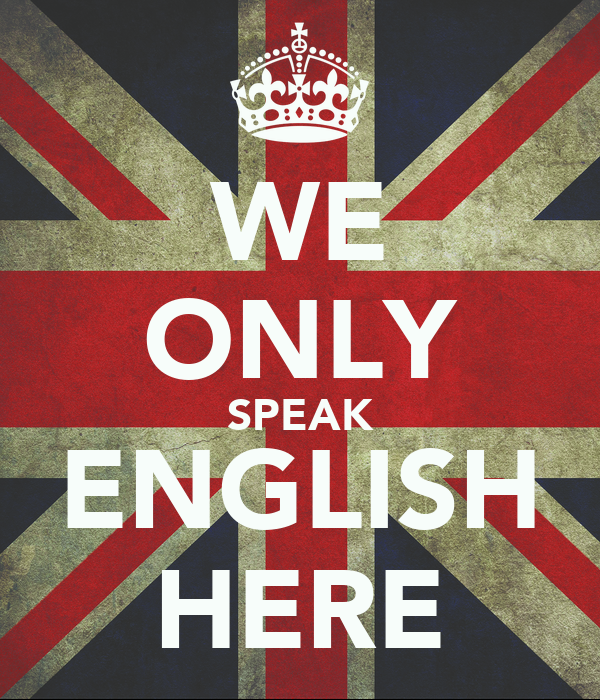 Reexamining English only in the ESL classroom. Tesol Quarterly, 27(1), 9-32.